este es el oscar(astronotus ocellatus)5Cm. mi acuario es de 270litros. bueno saludos desde Argentina a toda Francia y demas adios...! amigo que buenos ejemplares! felicitaciones! un saludo desde mexico! Good evening my friend, I built a new forum so we can better share our passion. Thank you and I warn you when I finished. 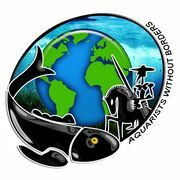 My wish would be to share with the aquarists of Argentina.